DoubleTree by Hilton Hotel Yerevan City Centre – Renco S.p.A. Double Tree by Hilton – Yerevan. 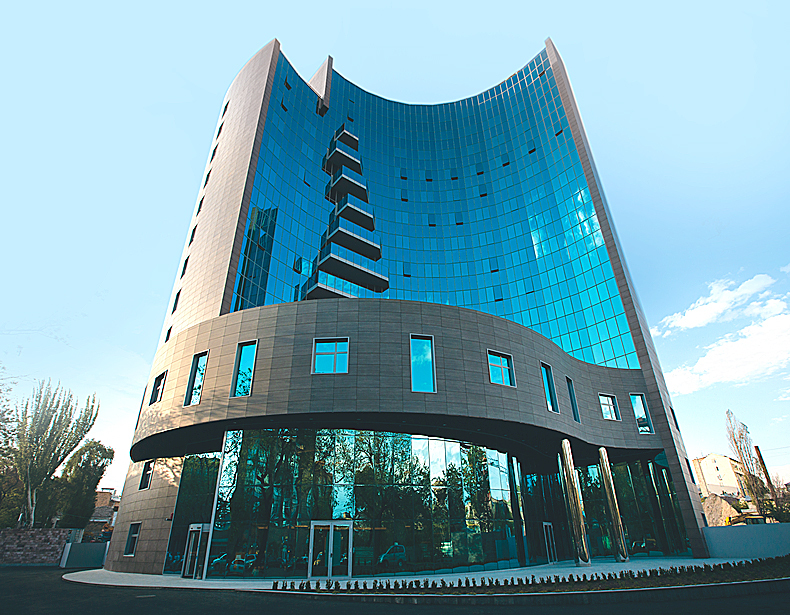 Turnkey construction of a 4 star hotel, built in 2014-2015 in Yerevan, Armenia in full compliance with the standards set by the brand Double Tree by Hilton. The hotel includes 176 rooms, 3 bars, 2 restaurants, a congress center of 1,300 square meters, a SPA and a fitness centre. Renco has developed the whole design, implemented the entire construction including plants, finishes, FF&E. The building amounts to about 16,500 square meters and was completed within the period of less than 18 months.